I had to ask the museum attendant to repeat himself. 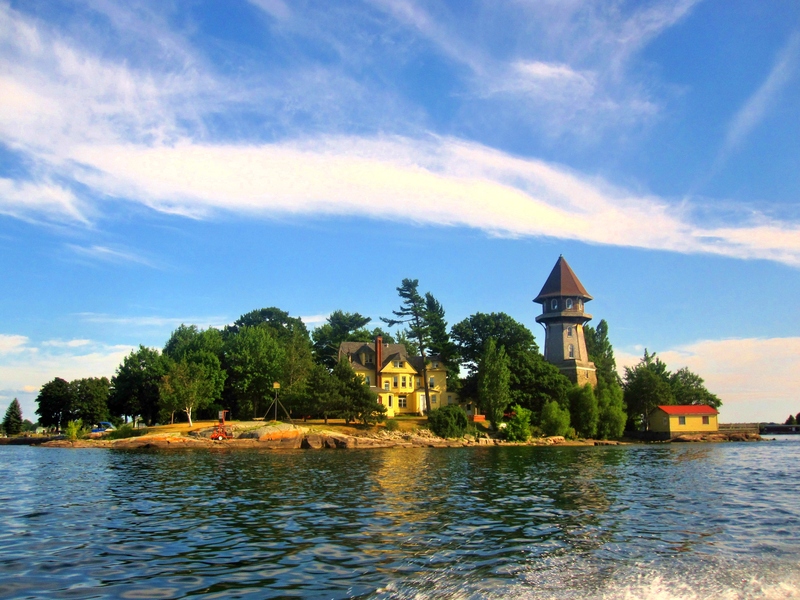 We were in the Thousand Islands Seaway – which I will explain and show you in more detail starting tomorrow – perusing paintings and sculptures made by Frederic Remington, not to be confused with Eliphalet and Philo Remington, the father and son who produced firearms. The attendant was talking about the artistic theories of Remington, and when I heard the advice I realized I had more in common with the man than my knowledge of western art would suggest. Do your best work outside the painting. Make them wonder how you got there and where you’re going. I love that – make them wonder how you got there and where you’re going. That’s exactly what I try to do with my iceberg style short stories: Capture a moment and put it on the paper for observation. Rather than a story that directs you where to go or tells you where it has been, I’ve enjoyed creating snapshots of moments from which traits of the characters and truths of the situation can be gathered – much like a photograph. In Another Country: Sparked by an interaction I witnessed between a tourist and a bartender. For What It’s Worth: People always ask me what I think the couple is talking about. I have a few ideas. What do you think? Hair of the Dog: One of my favorites featuring a good old-fashioned hair of the dog. Send comments to freddymcgough at gmail. One of the 1864 islands in the St. Lawrence Waterway.